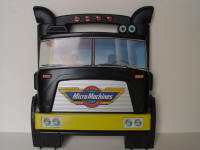 Planes, Trains and Automobiles . 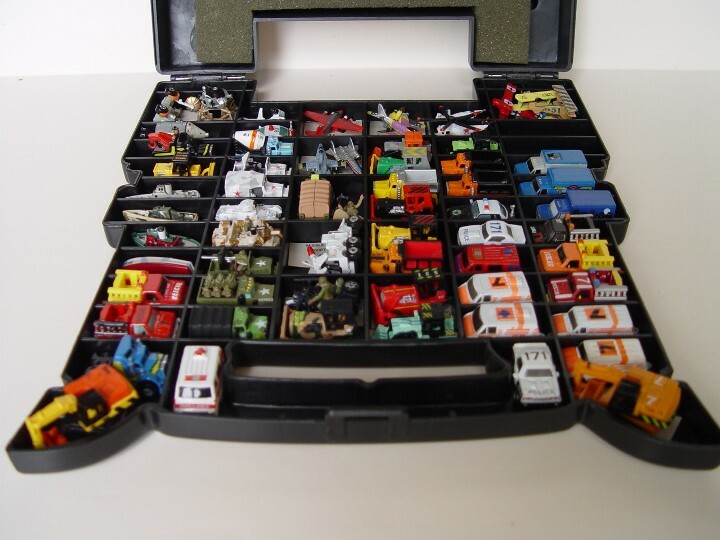 . . Trucks, Construction, Military, etc. 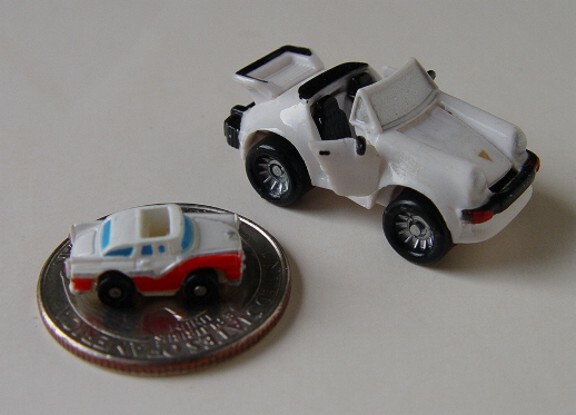 To give you a little prospective, that's a quarter the Micro Mini is sitting on. 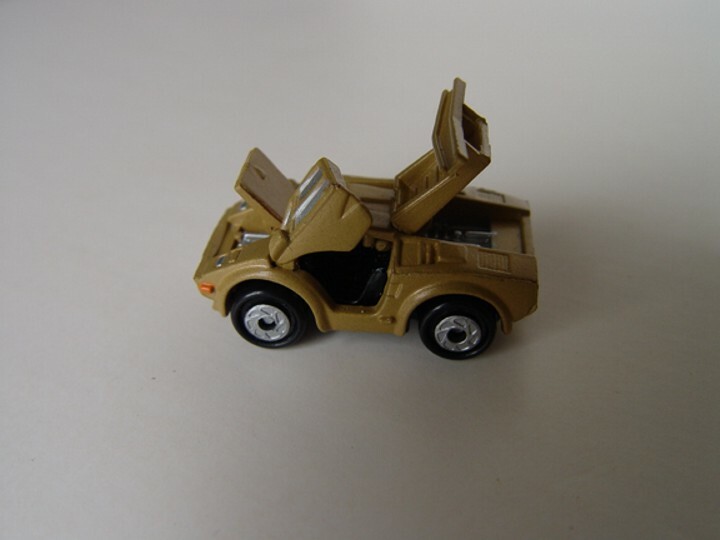 The larger Porsche is a full size Micro Machine. 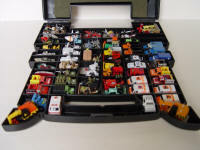 Micro Machines were a line of toys originally made by Galoob (now a part of Hasbro) in the mid 1980s and throughout the 1990s. 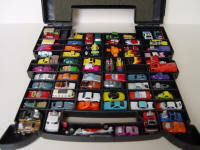 Micro Machines were literally that—tiny scale component style "playsets" and vehicles that were slightly larger than N scale. 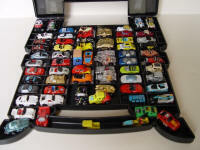 Although Micro Machines have not been sold in the United States in some years, newer models are available in the UK and Europe. 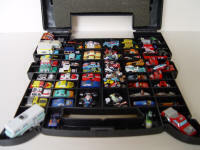 These photos are from my collection of 700 plus Micro Machines. 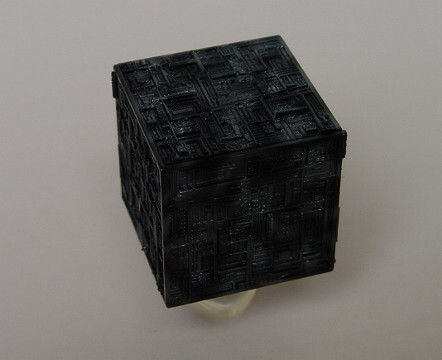 Just CLICK on a thumbnail to view it . . . then click BACK to return here. 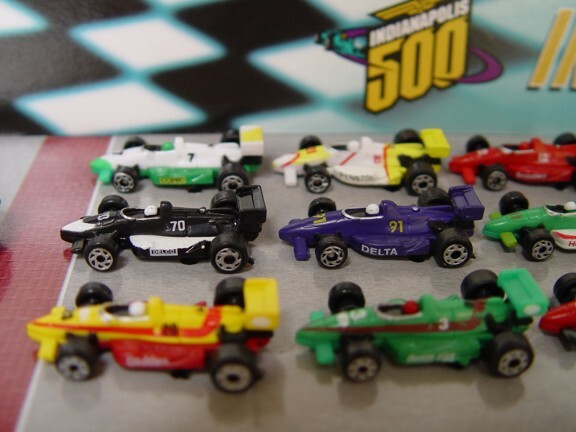 This set of Indy Cars represents the full Starting Grid from the 1996 Indy 500 . . . including the pace car. 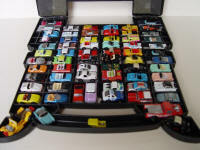 Each car number, color scheme and starting position is correct for the race. Winner was Buddy Lazier in car 91, start position 5 (second row middle car) The set was originally sold by FAO Schwartz. Close-up of the Indy 500 starting lineup. 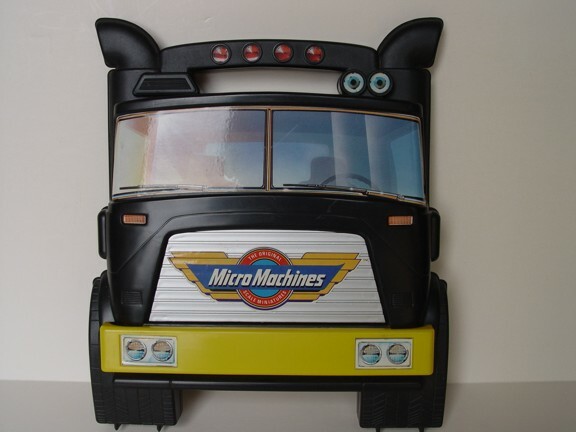 A truck shaped case sold by Galoob to house Micro Machines. 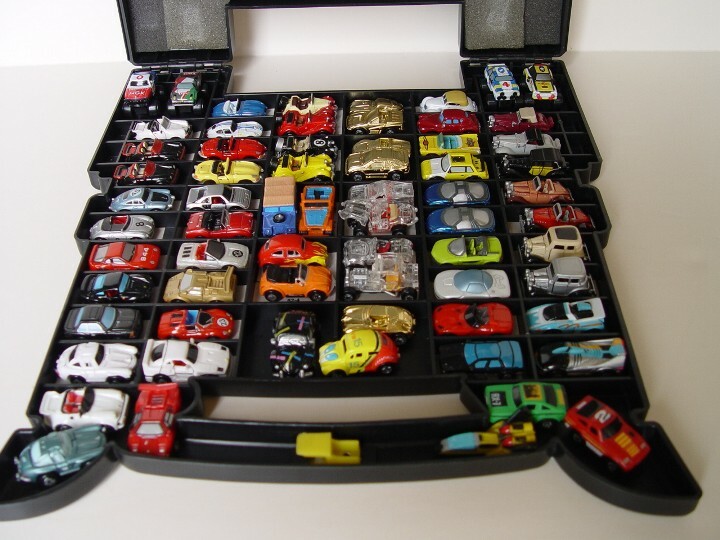 Jag, MG, Porsche, VW Bug, Lamborghini, Ferrari, Mercedes, Cord, Tucker, Viper & others. 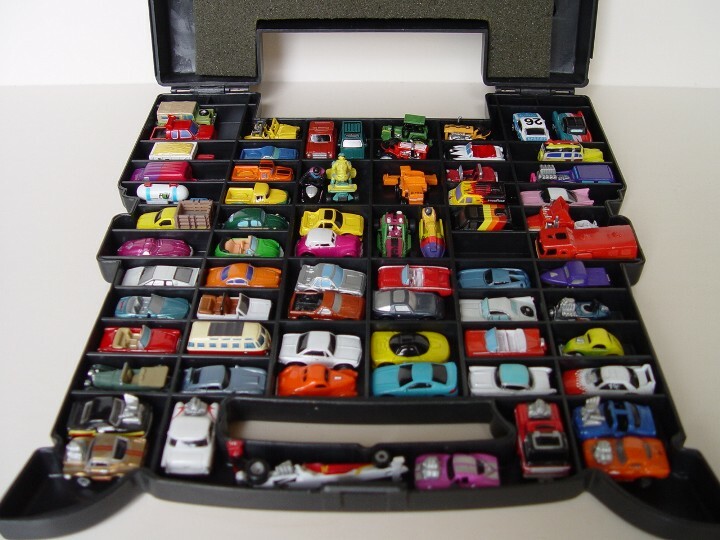 Chevy, Corvette, T-Bird, Limos & others. Race cars, Customs, Farming, Land Rover, Dodge, Chrysler, Cadillac & others. Military, Construction, Emergency, Space, Planes & Boats. Trailers, Campers, Semi Trucks, Motorcycles, Quarter Milers, Midget Racers & others. 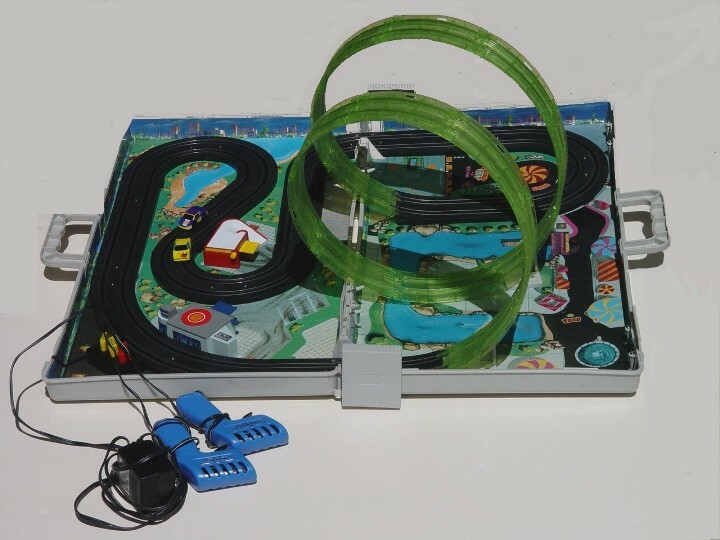 Micro Machine cars have magnets to hold them to the rails in the double loop. A few examples from my collection. 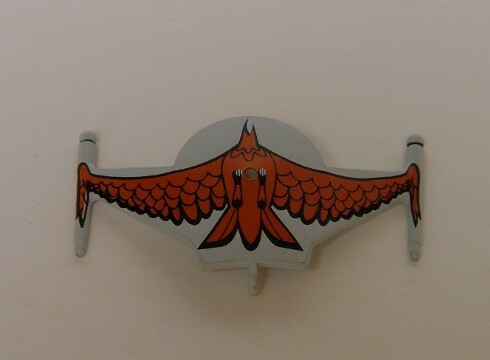 Place your cursor over the image to see the description.